If you’ve never bought a house before, brace yourself for the amount of paperwork you will be signing. It will seem like a mountain of it and the whole time you might be asking yourself “What is all of this? !” During your closing the escrow officer will explain what everything is, and you will receive copies of everything. Today we’re going to cover what we feel are the top three documents in your closing package. These are the HUD now known as the closing disclosure (CD), the promissory note and the deed of trust. The closing disclosure is the document that discloses all the fees for the transaction. There will be a column that has everything broken down for the seller and then for you as the buyer. The fees will also be broken down by categories, for example the lenders fees, the title fees and real estate agent fees. You as the buyer will receive the closing disclosure three days prior to closing on your home. It is very important that you review this document. 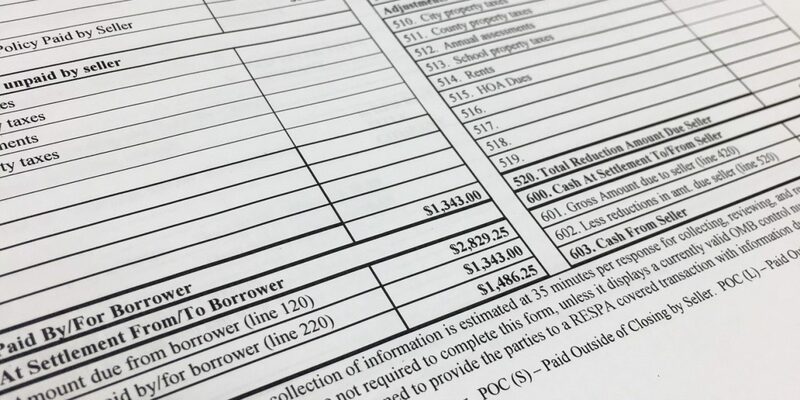 It will contain information about your loan, such as your loan amount, interest rate and the term of your loan. At closing you will sign the final closing disclosure. The promissory note is the document that contains all the details of your repayment terms of the loan. It will have the repayment schedule (the date your payment is due), any payment changes (this would be for something such as a adjustable rate instead of a fixed rate) and it will contain language to address any possible penalties that could be acquired with your loan (such as late payments or any prepayment penalties for paying the loan off early). We like to remind borrowers when they are signing the promissory note, if you don’t pay you don’t stay! The deed of trust or mortgage as some states call it, like the promissory note pledges the property as collateral for the loan you are taking out for the purchase money. It will show you as the borrower, the mortgage company or bank as your lender, the loan amount and when your first payment is due. This document will be the one out of the three we discuss today that will be filed of record. If you have any questions about your closing documents, please don’t hesitate to ask your escrow officer during your closing. If you have any questions before your closing please let us know, we here at Red River Title want our customers to informed.